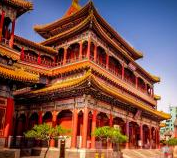 Yonghe Gong Lama Temple also known as the "Palace of Peace and Harmony Lama Temple", the "Yonghe Lamasery", or - popularly - the "Lama Temple" is a temple and monastery of the, Geluk School of Tibetan Buddhism. It is one of the largest and most important Tibetan Buddhist monasteries in the world. 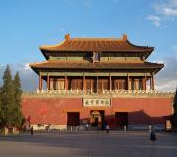 Tiananmen Square is named for the Gate of Heavenly Peace which sits to its north, separating it from the Forbidden City. Tiananmen Square lies at the heart of Beijing and is famous as cultural symbol because it was the site of several key events in Chinese history. 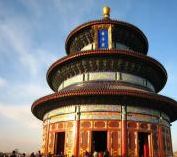 This dazzling temple marks the heart of imperial symbolism, where the emperor, the Son of Heaven, prayed for good harvests. It is regarded as a Taoist temple, although Chinese Heaven worship, especially by the reigning monarch of the day, pre-dates Taoism. It is the closest park to East Apartments, making it a quite refuge from the bustling city. 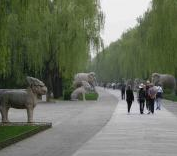 The Ming Tombs were created by Emperor Yongle and are the last resting place of the 13 emperors of the Ming Dynasty. The tombs are located on the southern slope of Mount Taishou. Yongle is also credited with envisioning the layout of the ancient city of Beijing as well as a number of landmarks and monuments located therein such as the Imperial Palace (Forbidden City). The Forbidden City, which was off-limits to most of the world for 500 years, is the biggest and best preserved cluster of ancient buildings in China. The old world of beautiful concubines and emperors, eunuchs and conspicuous wealth still hovers around the lush gardens, courtyards, pavilions and great halls of the palace. The palace contains over 720,000 square metres, 800 buildings and 9,000 rooms. 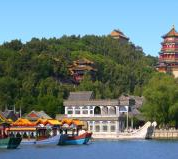 The Summer Palace features the Kunming Lake which takes up three-quarters of the park. The main building is the lyrically named Hall of Benevolence & Longevity, while along the north shore is the Long Corridor, so named because it's, well, long. There are over 700 metres (2300 ft) of corridor, filled with mythical paintings and scenes. If some of the paintings have a newish patina, that's because many of the murals were painted over during the Cultural Revolution. 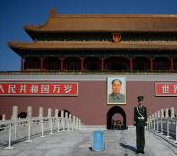 Chairman Mao's mausoleum is the final resting place of Mao Zedong. 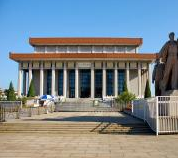 The remains of the Great Helmsman, as he is sometimes known, are on display for public viewing. People queue up for hundreds of metres every day to see the former chairman.